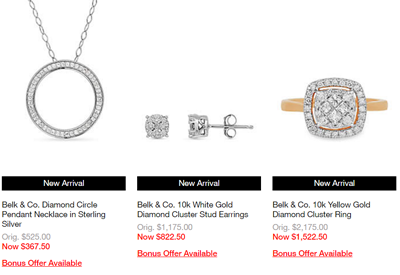 Black Friday fine jewelry online only. Regular & sale fine jewelry purchase. Back to school salesale purchases (15% off home & shoes). Regular & sale intimate apparel purchase. Black Friday in July Preview regular & sale purchase (15% off home & shoes). Free shipping on orders $99+. Extra 20% off regular & sale Home purchase. 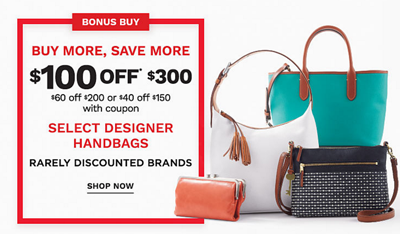 Regular & sale designer handbag purchase of $300 or more. Regular & sale designer handbag purchase of $200 or more. Regular & sale designer handbag purchase of $150 or more. Regular & sale purchase of $20 or more. Belk, Inc., a private department store company based in Charlotte, N.C., is the home of Modern. Southern. Style. with 293 Belk stores located in 16 Southern states and a growing digital presence. 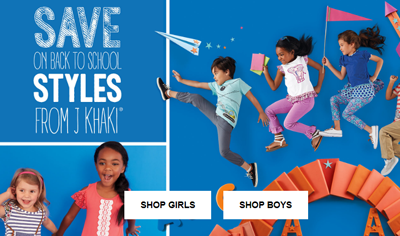 Belk is a portfolio company of Sycamore Partners, a private equity firm based in New York. Belk and www.belk.com offer a wide assortment of national brands and private label fashion apparel, shoes and accessories for the entire family along with top name cosmetics, a wedding registry and a large selection of quality merchandise for the home.